You want to save money, right? Whether it’s at home, at work or both, you want to reduce your bills and expenditure as much as possible. It’s hardly a lofty goal, but you can add a higher dimension to this quest by factoring in energy savings, your carbon emissions and your consumption of resources like paper and ink. Just a few small habit changes can make a big difference to your bottom line and to your eco-friendly credentials. If you’re about to hit the print button, stop and think; if you really need it, then go ahead. If you don’t, then leave it. Even if you do print out, then consider printing on both sides of the paper – most printers will give you this choice. You also should use the “print preview” whenever you decide to print out, too. Many people don’t bother with this feature, but it can save a lot of paper and ink. Too often, you’ll find that your pages come out with lines missing because you haven’t justified or aligned the text properly, so that page ends up in the bin and you end up using another sheet. The preview option means you can make any last-minute adjustments before you use valuable paper and ink for nothing. Reducing your paper usage is a great start – the trees will love you for it. However, don’t rest on your laurels (boom-tish), because there’s still savings to be made. Look at your ink or toner consumption; there will be a few ways you can lower it. Just changing your habitual font can save ink – use sans serif fonts and reduce the size. This, believe it or not, can cut ink usage by up to a third! If you’re already buying discounted ink or toner from an online supplier like Cartridge People then you’re doubly winning. You should also look at the print quality you usually use. If you’re printing out notes or internal memos (and these should be the ones you actually need in hard copy, remember…), then use draft or greyscale settings rather than best quality. 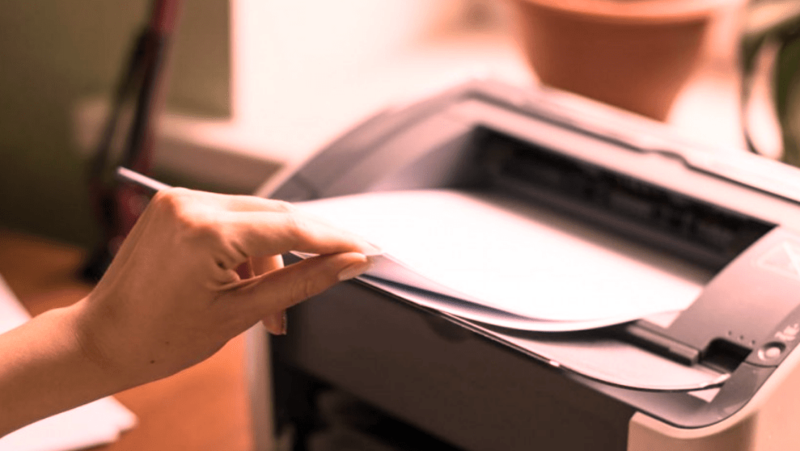 If you still have a separate fax, printer, scanner and photocopier, then you need to move with the times! How much ‘leccy is that phalanx of machines eating? Get an all-in-one scanner and printer. Does anyone still actually use a fax? If you get through a lot of ink or toner cartridges, then recycle as many as you can. The big companies have a Freepost address for your spent cartridges, so they can be given a refurb and another day in the sunshine. It’s a little-known fact about printers, but they use almost as much power in standby mode as they do when they’re working. It’s a really good idea to turn them off at the end of the day, or at least put them in sleep mode. You could do sleep mode on weekday nights and turn them off completely at the weekends. In The Wake Of Disaster: Are You Prepared?